Need Pain Relief? 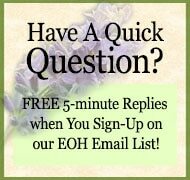 Pure Essential Oils Work Faster than Aspirin! 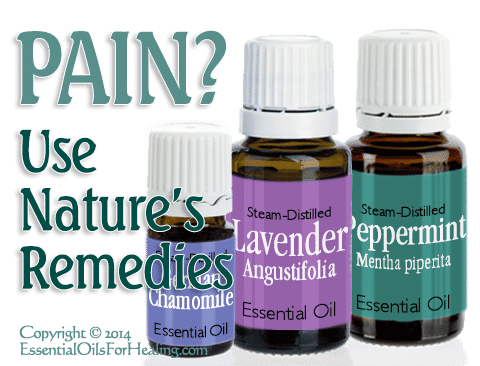 Pure steam distilled essential oils are AMAZING when you need pain relief* in our and others’ personal experiences and have become our family’s ‘medicine cabinet’ go-to first-aid solution. Plus, you don’t have to worry about over dosing, drug misuse, scary side effects, or pharmaceutical drug interactions, if you happen to be taking prescription meds for other health issues. If you thought over-the-counter (OTC) pain killers are nothing to be concerned about, think again! We have a NEW 5-page Information Packet ($4.95) on the common, rare, severe, and sometimes dangerous side effects of aspirin (Bayer, Easprin, Ecotrin), ibuprofen (Advil, Aleve, Motrin, Nuprin), acetaminophen (Tylenol, Panadol and others). 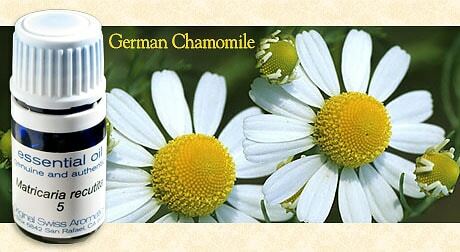 In both cases, I mentioned GERMAN CHAMOMILE reduces inflammation*, counteracts infection*, and is an option for natural, safe, pain relief*. 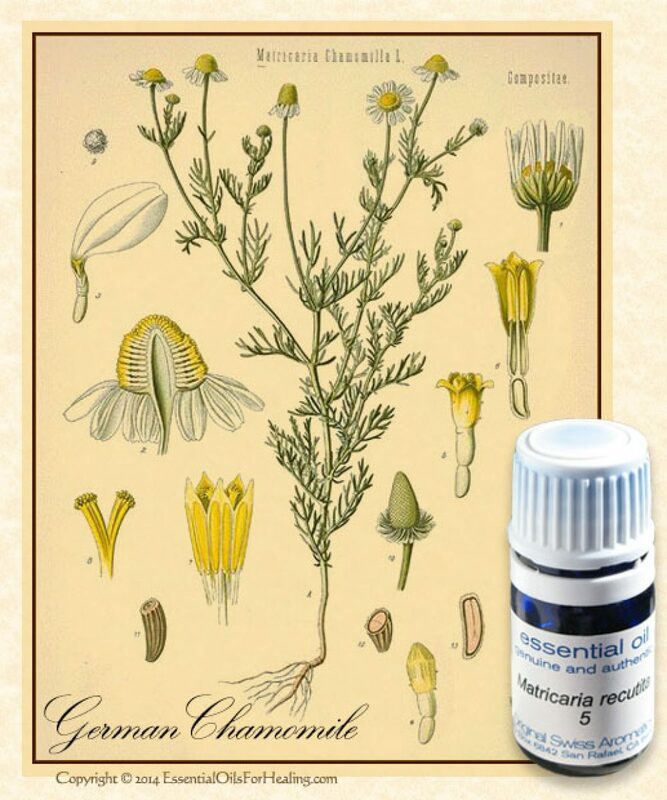 German Chamomile (Matricaria recutita), a gently healing therapeutic essential oil contains the strongest anti-inflammatory compounds of all essential oils. Jan 23rd ~ Joanne phoned in desperation about a terrible toothache. 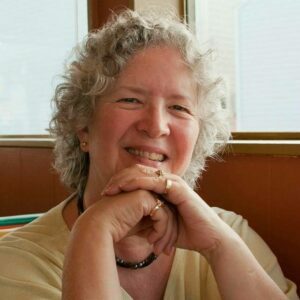 She asked if I had ANY essential oils I could bring to relieve her pain, so she could teach our evening class. I selected two products: GERMAN CHAMOMILE essential oil and a favorite essential oils pain blend. Suggested Joanne use 1-2 drops of GERMAN CHAMOMILE applied right on the gum around the offending tooth. 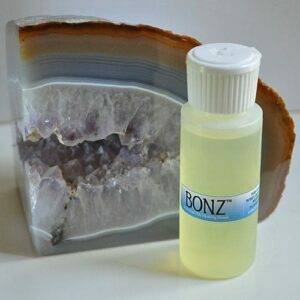 Followed by the pain-relieving essential oil blend rubbed in gently over her cheek and along the jaw line. Amazingly, Joanne’s pain level was reduced to tolerable within 12-15 minutes (faster than Aspirin)!! She was relieved. The rest of our class was impressed. Feb 20 ~ Our Tai Chi teacher’s C5-C6 neck vertebrae are chronically sore and were especially painful this week. During yesterday’s class I noticed Joanne seemed to have a stiff neck. Asking her about it, she said after being rear-ended in a couple of car accidents when she was younger, and now with chronic arthritis, she’s ALWAYS in pain. 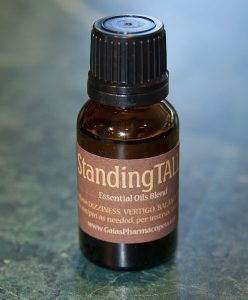 I suggested, since she had a bottle of GERMAN CHAMOMILE essential oil, to use it (2-3 drops) in combination with LAVENDER essential oil (5-6 drops) on her sore neck that evening to see if she could get some relief. Feb 21 ~ Here are Joanne’s email comments from this morning: “Doctor Cynthe, You beat me to it!! A note was already written to you in my head when I awoke this morning. The Lavender and German Chamomile worked wonders and gave amazing relief. This regimen will definitely be an important part of each day now. 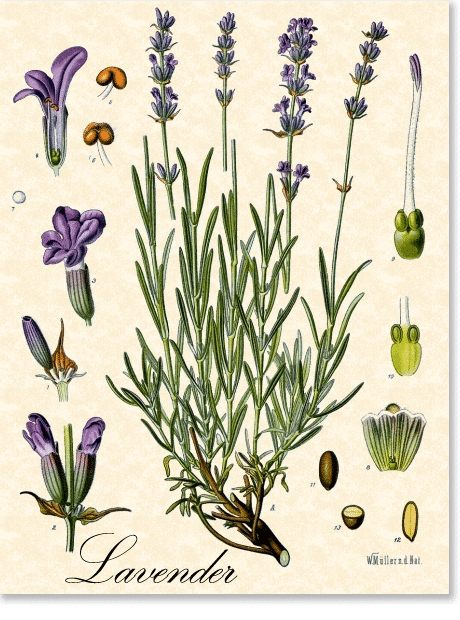 Read more about LAVENDER Essential Oil Healing Properties or buy a quick reference sheet on Lavender’s versatile uses. 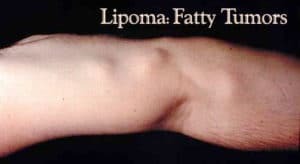 *These anecdotal experiences and statements have not been evaluated by the Food and Drug Administration (FDA). These products are not intended to diagnose, treat, cure or prevent any disease.